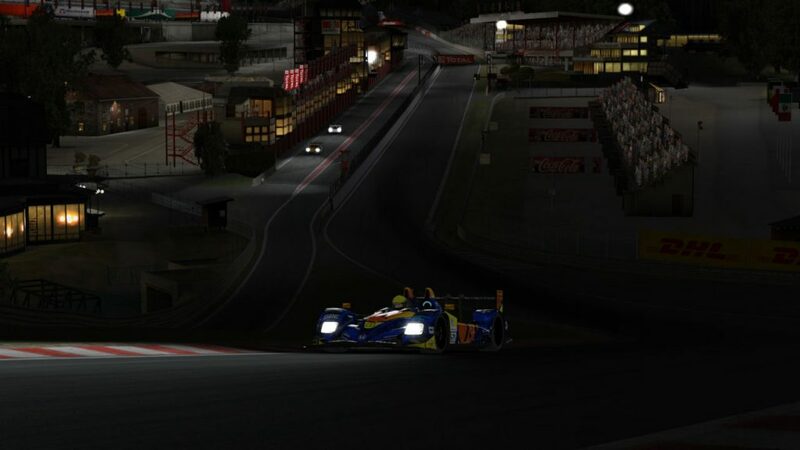 After several rounds of expecting the unexpected, from a dreaded return to Interlagos to an untested circuit at Suzuka to new features like day-to-night transitions, the NEO Endurance Series finally looks to return to normality with this weekend’s visit to the time-tested Circuit de Spa- Francorchamps. 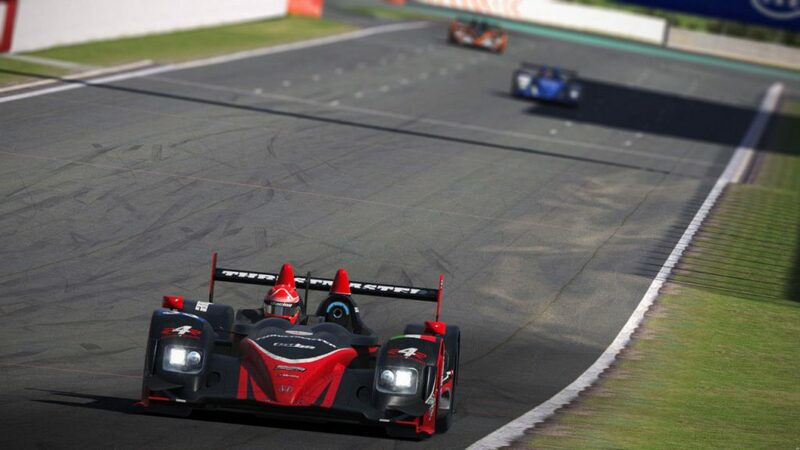 In this race preview, teams and drivers from the series talk us through what they expect in the final six-hour race of season five. 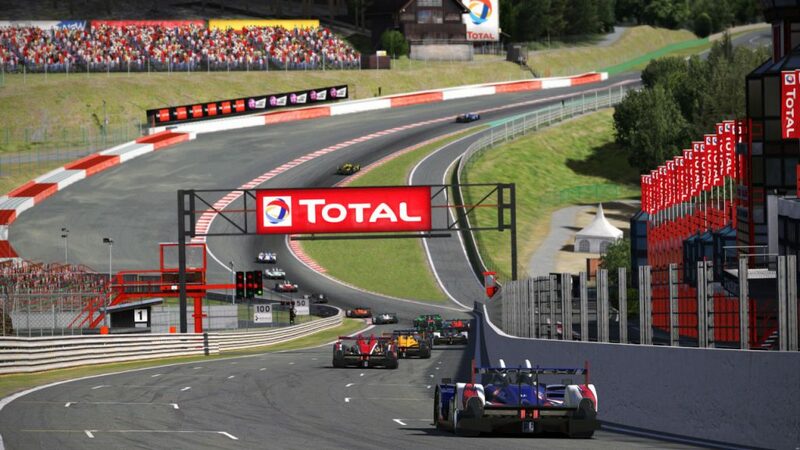 Spa has appeared on the calendar for all five NEO seasons, and with 26 hours of past racing at the circuit as well as the annual running of the 24 Hours of Spa and its countless appearances on official series’ schedules, it’s a track with a long history within iRacing. Although Spa joins Sebring as the only circuits to appear in every NEO season, none of the winning teams from the previous four races at the Belgian circuit — including the four-time winners from Coanda SimSport — will be in the field this season. However, several drivers with winning experience at Spa are on the entry list for this year’s race. In season 1, Anders Dahl — now with Thrustmaster Mivano Racing’s GT team — won the GTC class with Vergil Racing. The following season, Team Buschfink Racing’s Joris Thielen took victory in the GT2 class with his Fenix Motorsports teammates. In season 3, Julien Grünastel and Lukas Jestädt earned the GTS class win with MSP-Drivers-Home. They return to Spa this season on separate entries for Team Eighty-Four and Team Eighty-Five, the descendants of that bygone MSP team. While they don’t appear on the list of past Spa winners in NEO, Mivano’s Marcus Hamilton and Frederic Evers have a great chance to change that this weekend. With second-place finishes in each the previous two seasons, they look to continue their winning ways in the championship-leading #3 Porsche 919 Hybrid and finally break through at Spa. 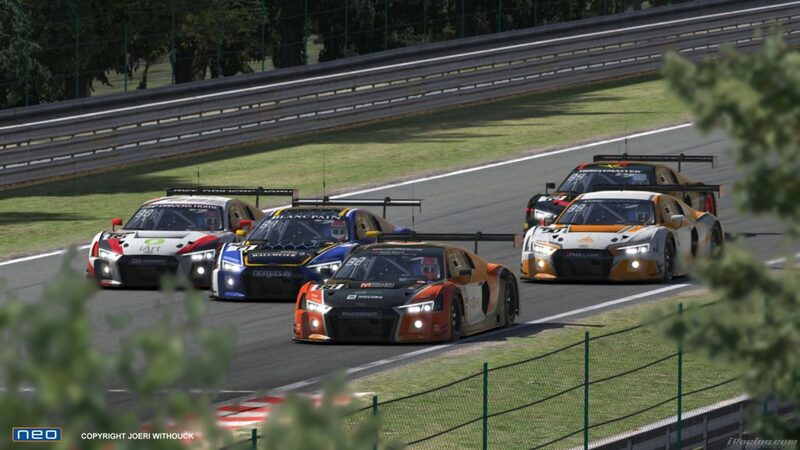 In the GT class, Spa could be a promising circuit for the Fords of Mivano and CoRe SimRacing. Last year, Jestädt and teammate Gregory Tanson earned a third-place finish — the best for a Ford GT in season 4 — and the Chip Ganassi Racing Ford GT team of Billy Johnson, Stefan Mücke, and Olivier Pla won the FIA World Endurance Championship season opener at Spa last May. The last time the Porsche and Audi P1 teams squared off at Spa in 2016, the Audi of Lucas di Grassi, Loïc Duval, and Oliver Jarvis came away with a dominant two-lap win over the highest-placed Porsche. Toyota has won overall in the most recent two Spa races, including last year with Fernando Alonso behind the wheel. 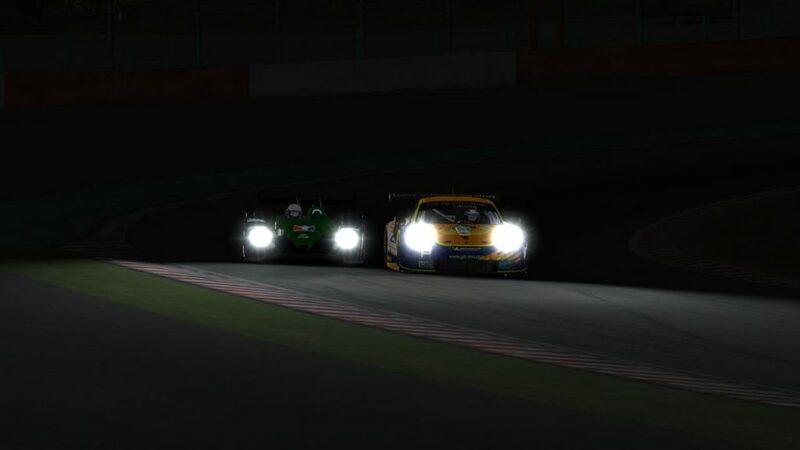 With so many races held at Spa over the years, some drivers could just about navigate the circuit with their eyes closed — and when this year’s NEO race transitions to nighttime, it might feel like they’re doing exactly that on some of the dimly lit sections of the track. 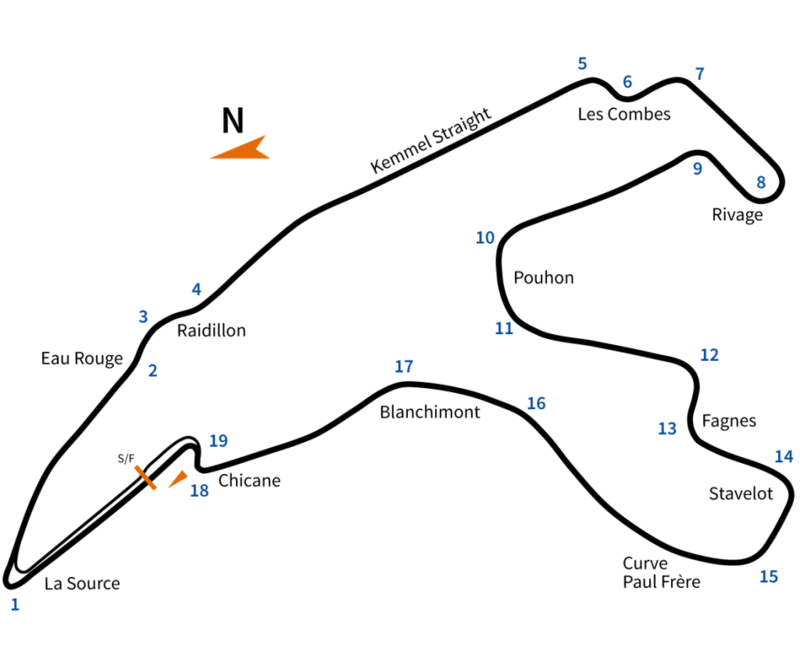 To start a lap at Spa, drivers will pass the scene of so many lap-one F1 crashes as they head into the La Source hairpin. Staying tight to the kerbing is key here, as a bit of camber on the inside of the track helps launch the car downhill toward the old start/finish line. One of motor racing’s most famous corners awaits next. After plunging into Eau Rouge, the track suddenly climbs 40 meters uphill into Raidillon. While all of the cars in this year’s field should be able to take that section flat out, it’s still not a corner where you want to race two-wide, so prototypes will need to complete passes before entering Eau Rouge or wait until the top of the hill. GT drivers need to hit the line through Eau Rouge just right, so they’re wary of racing “against other higher-class cars coming into the corner,” according to Simone Maria Marcenò from Logitech G Altus Esport. Expect to see plenty of drafting and defensive driving down the Kemmel Straight before the technical Les Combes and Malmedy complex. Another short straightaway follows before the 180-degree, downhill-spiralling Rivage corner. Interactions between prototypes and GT cars could be tricky through this corner due to the speed differences between them. “It’s quite fast for a P1 car on entry, but it will be tricky to make a pass on the run down to No-Name,” said Nick Rowland from Wyvern Racing. No-Name Corner, alternately called Speaker’s Corner, is a tight 90-degree left-hander with astroturf on the exit waiting to hand an off-track to any drivers pushing too hard. In this weekend’s race, teams can take only 20 off-tracks before earning a warning, and every 20 after that will give them a drive-through penalty. P1 cars will carry plenty of speed through Rivage. The double-apex left-hander at Pouhon, also known as Double Gauche, is up next, and it’s a high-speed section where maximizing your momentum will pay dividends. “The whole track is a fantastic challenge, but the complex you need to nail for a good laptime has to be Double Gauche down to Fagnes,” said Hamilton. After that Fagnes ess, cars will shift back to the left side of the track to set up for Stavelot. Carrying speed on exit here without taking an off-track on the astroturf can be difficult, but it’s an important corner to master. Drivers will hope to carry as much speed as possible through Courbe Paul Frère and down to Blanchimont. That high-speed left-hand kink should be flat-out for GT cars in cooler weather, but on a slick track or on used tires, it will take some bravery to not lift and risk running wide of the exit kerbing, where another menacing 1x awaits. The exit of Stavelot is an easy spot to take an off-track. Finally, cars will climb back uphill through the Bus Stop chicane, which Karl Modig from SRN Motorsports calls “an underestimated part of the track”. Drivers winding through the Bus Stop will then complete a lap at Spa and hopefully not turn toward the pit lane to serve a drive-through for track limit abuses. For the first time ever in NEO competition, we’ll see sub-2-minute lap times at Spa this season. P1 cars should lap the 7-km circuit in about 1 minute 55 seconds. P2s will be about 8 seconds per lap slower, while GTs should turn laps of about 2 minutes 13 seconds. That equates to P1s lapping the GT field about every 7 laps and the P2 field in 14 to 16 laps, or about twice per hour. P2s should pass the GTs roughly every 12 laps. Prototypes line up single-file for the roller coaster ride beginning at Eau Rouge. While Spa should be an easier track for traffic than the shorter Interlagos layout and the tighter Suzuka circuit, it’s still the biggest talking point among teams headed into this weekend’s race. For P1 teams, they just hope to keep up with the points leaders who have enjoyed such success in part due to their traffic management. Mivano’s drivers will be watching both traffic and the skies above in their hopes to remain undefeated. “Finding the right balance between aggression and caution through traffic will be key, but adapting to the night conditions late in the race will also be a new challenge that shouldn’t be underestimated,” said Hamilton. 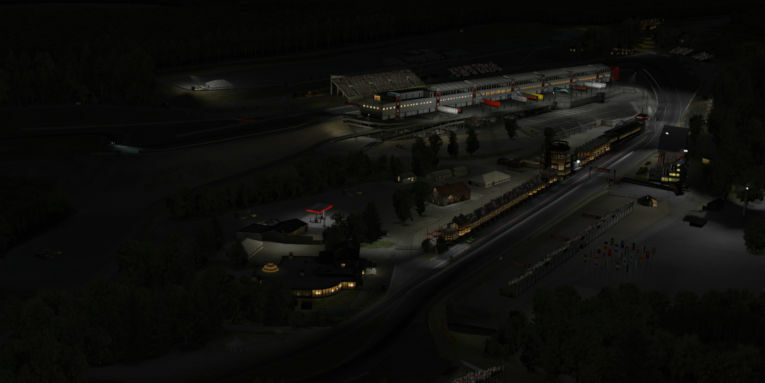 Nighttime visibility will be limited once cars leave the pit area and head through Eau Rouge and Raidillon. GT drivers will be relieved to have less faster traffic filling their mirrors compared to recent races, but their game plan to do well in the ultra-competitive class remains unchanged. P2 teams in NEO’s middle class have the added challenge of watching traffic both in front of and behind them. 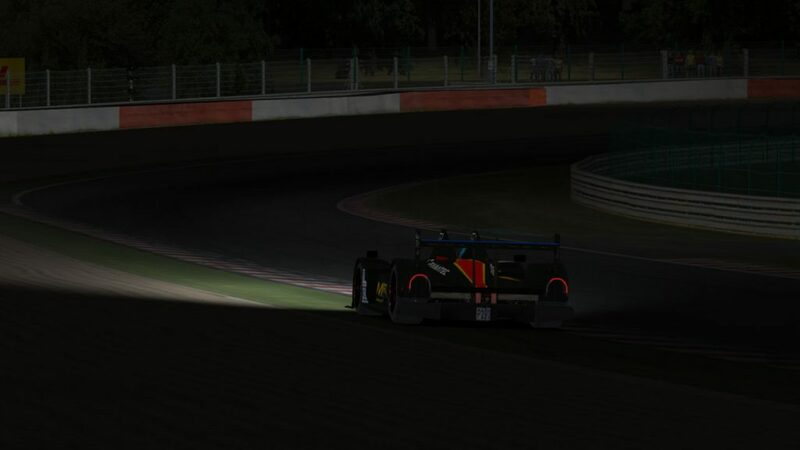 “We’ll be managing when and how to overtake or be overtaken by other cars, especially when it gets darker on track,” said Philip Eckert from the RacingCenter-Vib3sports HPD team. One corner in particular that has teams talking is Pouhon. It tends to be a passing zone fraught with confusion, as GT cars transitioning from apex to exit can create some chaotic moments for passing prototypes. 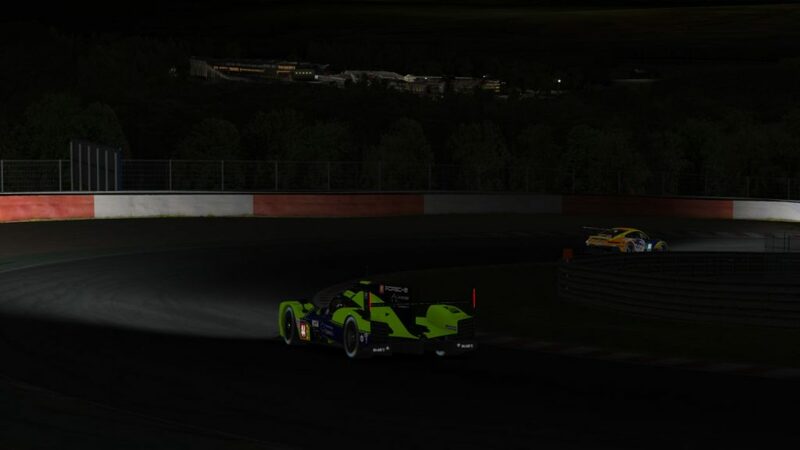 An outside pass exiting Pouhon may be ill-advised according to many GT drivers. GT drivers suggest it’s best to time a pass up the inside on corner exit, but every situation in the race will be different, so reading the circumstances — especially as the ambient light levels diminish — will be important at Pouhon and Spa’s many other high-speed turns. “All fast corners need some good timing to be fast in traffic, as you can lose the most time here,” said Lennart Fricke from Schubert Motorsport. Along with avoiding collisions with other cars, teams will need to treat Spa’s astroturf and paved runoff as if the floor is lava in order to avoid off-tracks. “Spa will be tricky in terms of off-tracks as there are a lot of spots per lap to pick some up easily,” said Eckert. Since this is NEO’s first visit to Spa using the automated off-track monitoring system, teams don’t know exactly what to expect, other than the most penalties we’ve seen for track limits violations so far this season. As at COTA, perhaps the new monitoring system will provide sufficient encouragement for competitors to clean up their driving. Finally, Spa’s combination of long straightaways and downforce-demanding corners — as well as the transition to cool, nighttime conditions — has teams debating setup priorities entering the race weekend. GT drivers such as Marcenò say Les Combes and Blanchimont — two turns where they’ll want to be stuck to the road — are the most important corners on the track to get right. For the more lightweight and higher-downforce prototypes, their teams may place the emphasis elsewhere. “Les Combes and Blanchimont are very important, but good straight-line speed is important as well, since we have a lot of straights,” said Fricke, whose team prioritized speed in cooler late-race conditions to win at Interlagos. So what will the winning setup and strategy be at Spa? 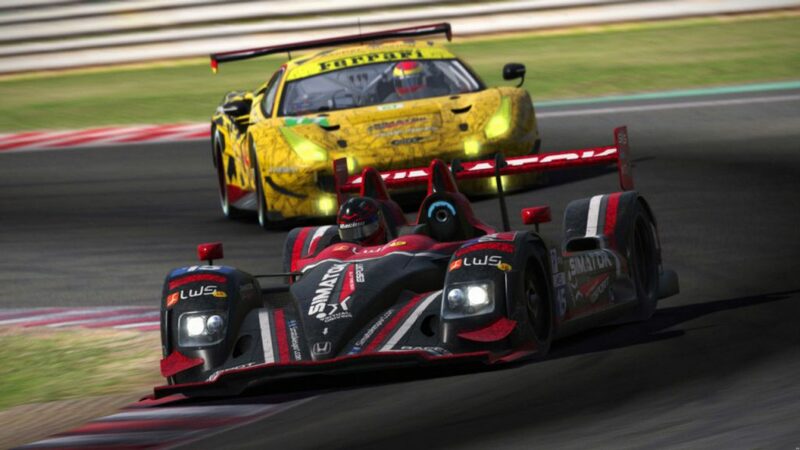 You’ll have to tune into the iRacing eSports Network this Sunday beginning at 1350 GMT as six hours at Spa, and a shift from dusk to the dark of night, offers the answers.